(1) When it's rainy or cold, you can stay at home and exercise on your machine and never miss a workout. (2) Save money on gas if you need to travel to your gym. (3) No more worries about your gym closing days and opening/closing time. Your treadmill is just a few steps away in your house and can be used any time. (4) Buying a treadmill is a one-time investment. There is no need to constantly pay to keep fit which is the case with a real gym. If you've been paying your membership for years, all that money could have already been invested in a treadmill. (5) If you're the loner type individual, exercising at home can be your best bet. 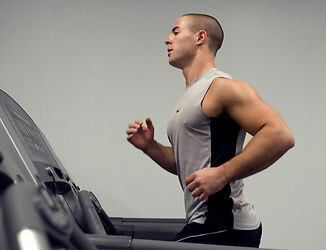 While there are several benefits of owning a treadmill, purchasing one should be done with precaution. You don't want to overspend on a treadmill as some can get pretty costly. If you're limited in budget but still want a quality treadmill, buying one under $1,000 is a pretty good deal, valuewise and pricewise. Be careful of buying too cheap treadmills as you'll be disregarding the quality aspect and focusing only on price. 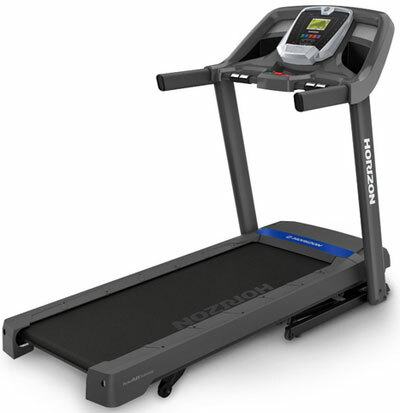 The best treadmill for the money for me is Horizon Fitness T101-04 for good reasons. (1) This is a sturdy, durable and stable treadmill using steel welded components. (2) It's easy to assemble as it comes in just four pieces ie the control panel, the deck and two arms. (3) The 2.25 CHP continuous duty motor is powerful and fairly quiet. (4) 20 x 55-Inch belt size provides enough space for almost anyone. (5) Maximum speed of 10 mph and 10% incline. (6) Easy on your joints with the Perfect FLEX deck cushioning which allows for smooth landing and spring back action. (7) Foldable and easy to store thanks to the Feather LIGHT lift function which consists of two hydraulic shocks to help you raise and lower the deck effortlessly. (8) 5" green back-lit LCD display to monitor your workout stats like time, speed and distance covered. 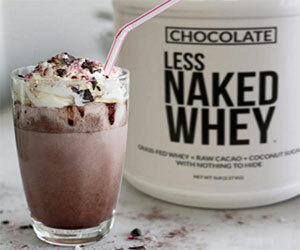 (9) Include 3 intervals workouts, 10 distance-based workouts and 6 calorie-goal workouts. (10) 30 program options including: 10 Step-goal workouts and manual workout. (11) Includes a pulse grip heart rate monitor. (12) Stay cool and comfortable while walking, jogging or running thanks to the COOL fit fitness fan. (13) Sonic surround speakers with mp3 compatibility. (14) Maximum user weight is 300 pounds. (15) Lifetime warranty of motor and frame and one year on labor and parts. (1) Loud warning beeps when machine is powered on. (2) The speakers and fan are not very powerful. Final Verdict: Budget-priced treadmill and great value for money. Tips: Don't forget to get the treadmill belt lubricant bottle which should be applied after assembling the machine. You can also lubricate every 6 months for maintenance.